The goal of the project was to determine the accessibility rate of the criminal legal aid service sponsored by the government for those detained, arrested and prosecuted, and the quality and impact of service provided. 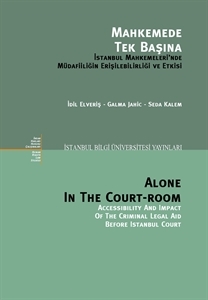 The research aimed to find out the accessibility rate and impact of the government sponsored legal aid provided to criminal defendants before Istanbul courts. Project partners were Open Society Institute and Royal Danish Embassy Ankara. It was later published in English and Turkish.